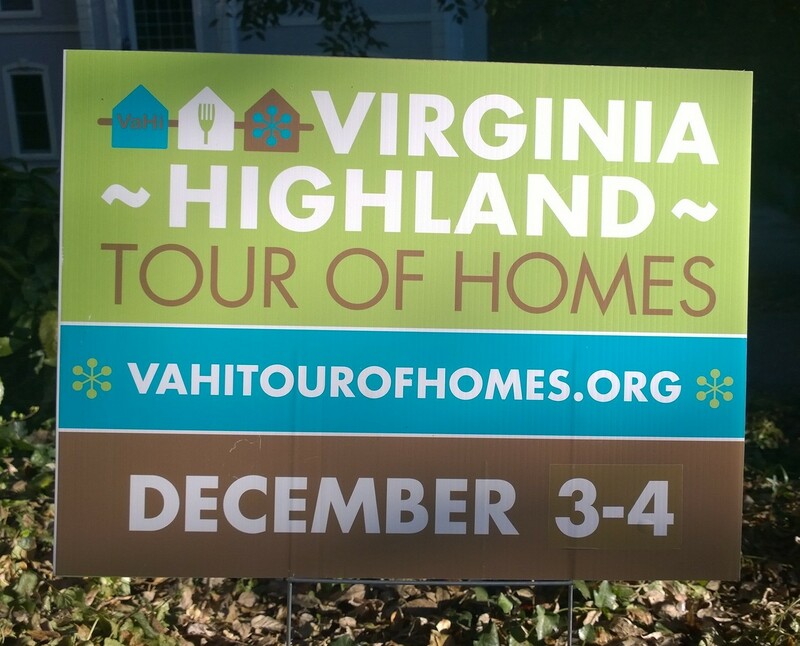 We want to give a shout out to Angelika Taylor and the rest of the 2013 Tour of Homes committee who helped add some holiday color to the neighborhood by hanging big red Christmas bows from the light posts and the main VaHi sign at the intersection of Virginia and N. Highland avenues. Taylor says the team had to be out hanging TOH banners anyway, so adding the beautiful touch of holiday color was a no-brainer. 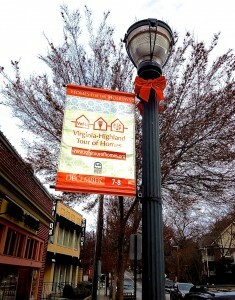 Taylor says she hopes to get local businesses involved next year and expand the effort to decorate the neighborhood’s business nodes for the holidays. 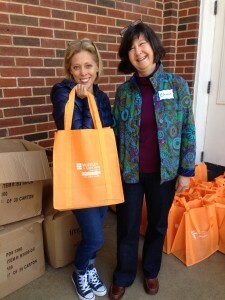 Thanks, Angelika and TOH committee – and Happy Holidays, everyone! 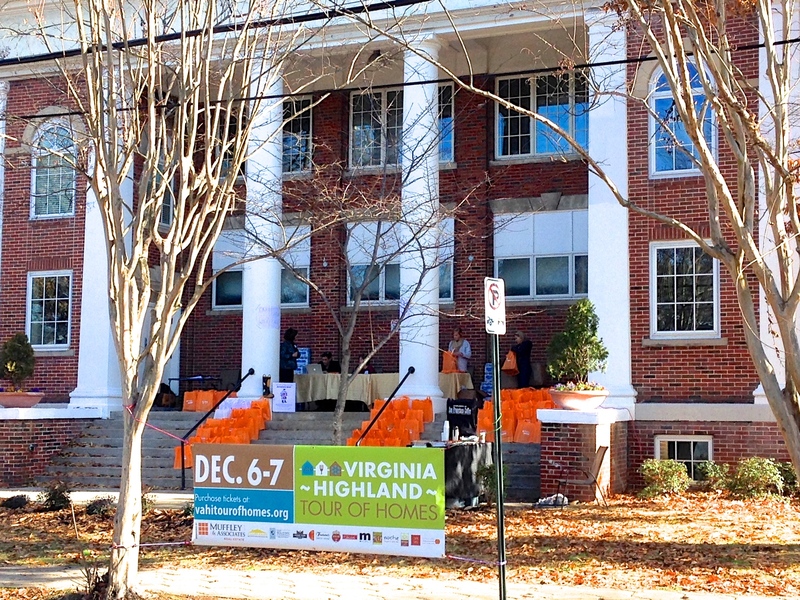 What an incredible year it’s been in Virginia-Highland! 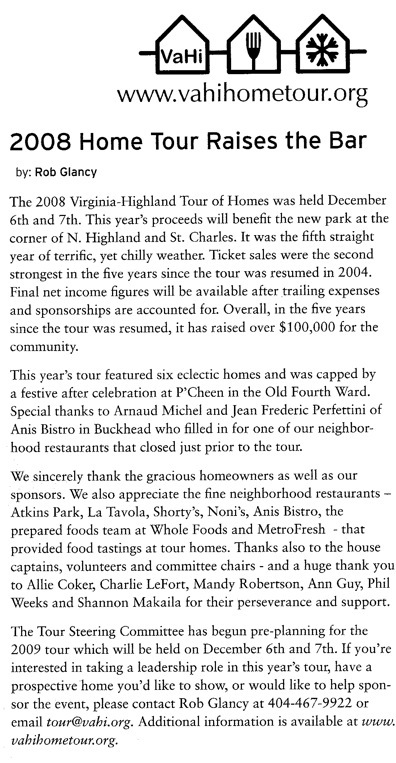 We’ve enjoyed Summerfest, ran numerous road races, hosted Streets Alive – twice, battled burgers, and now it’s time for the next exciting event in our community. 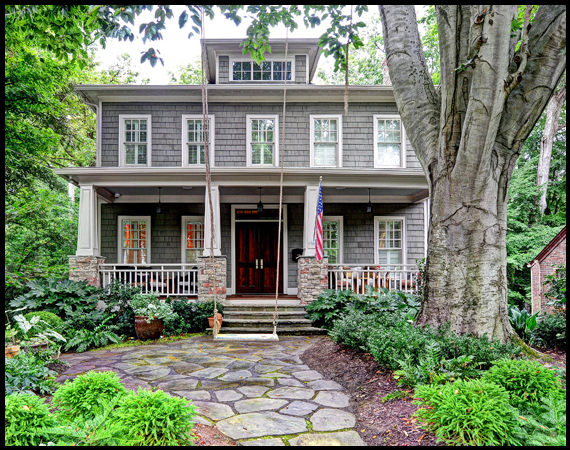 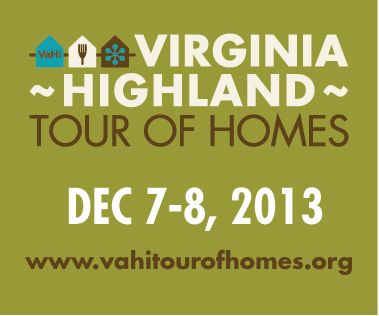 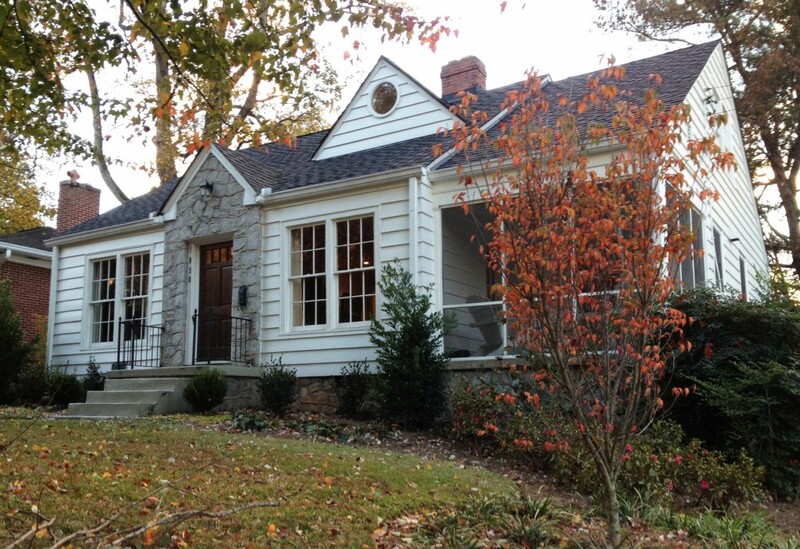 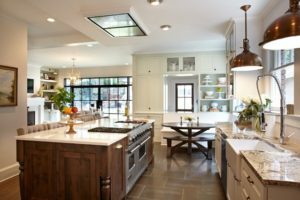 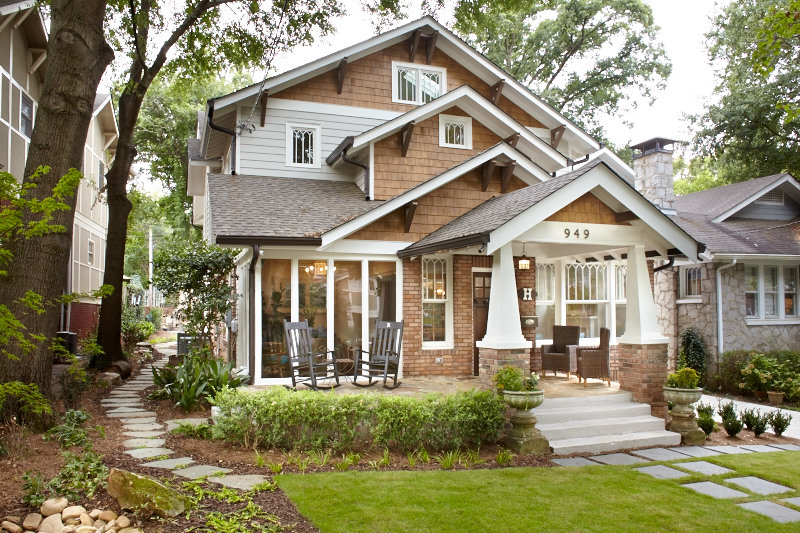 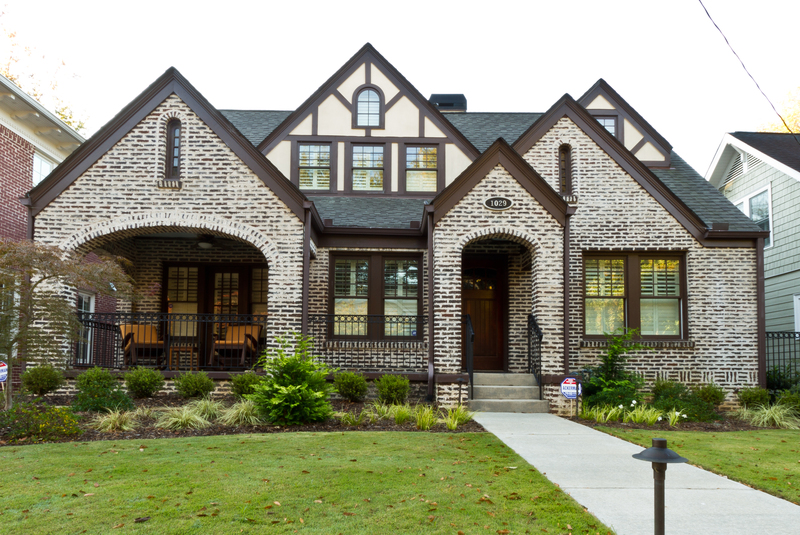 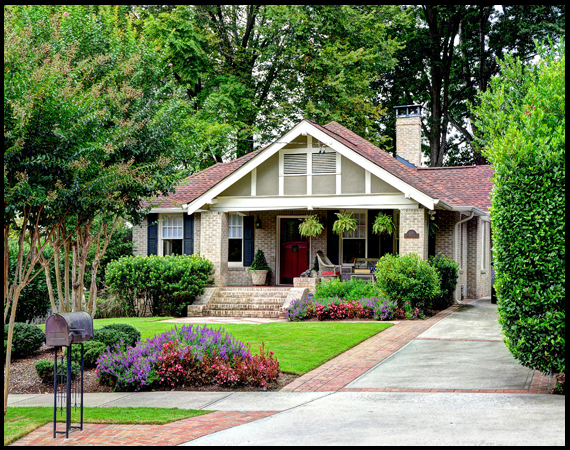 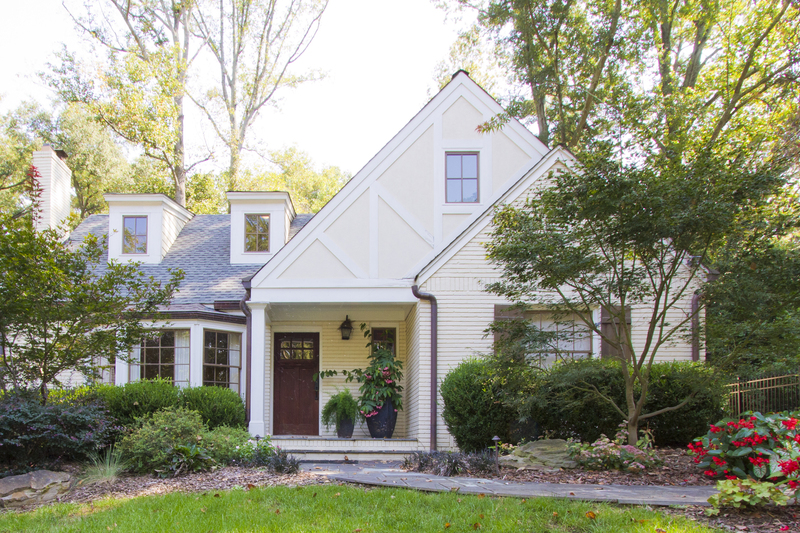 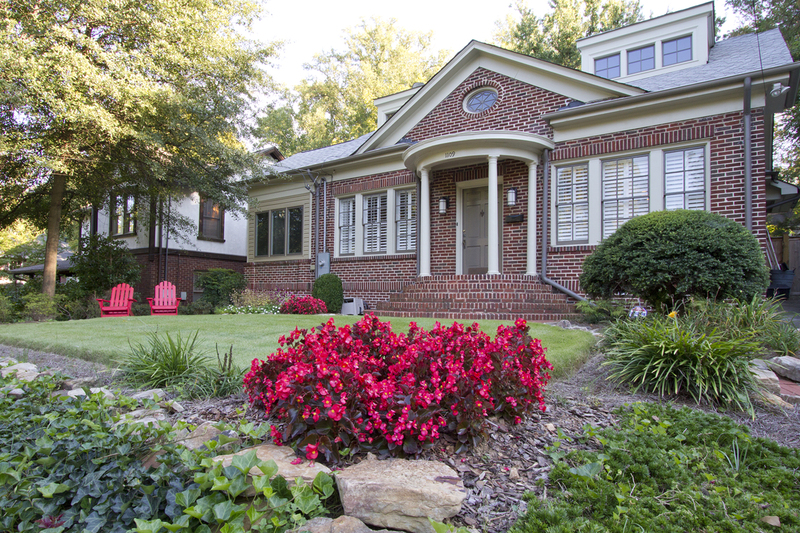 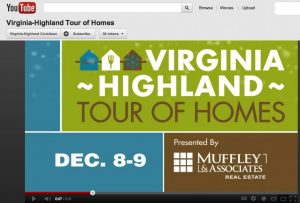 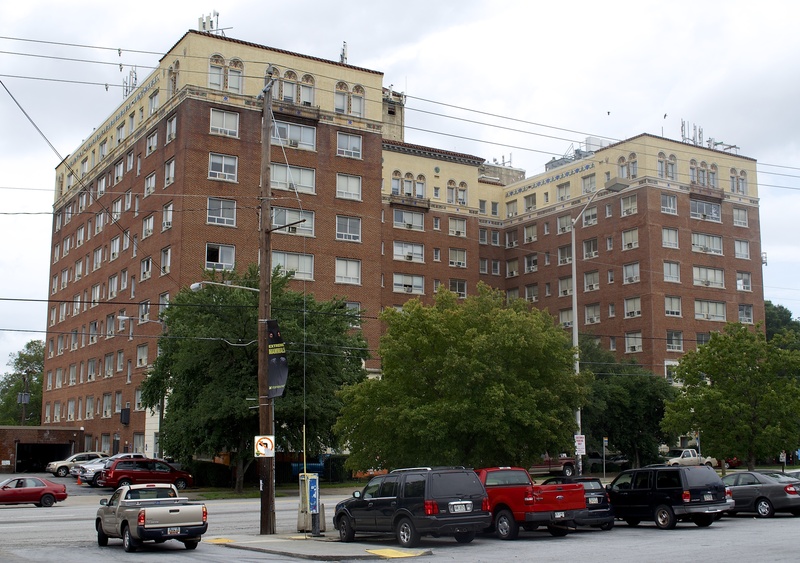 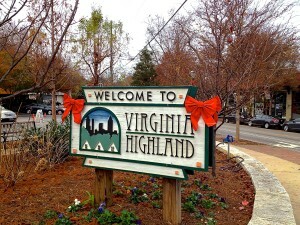 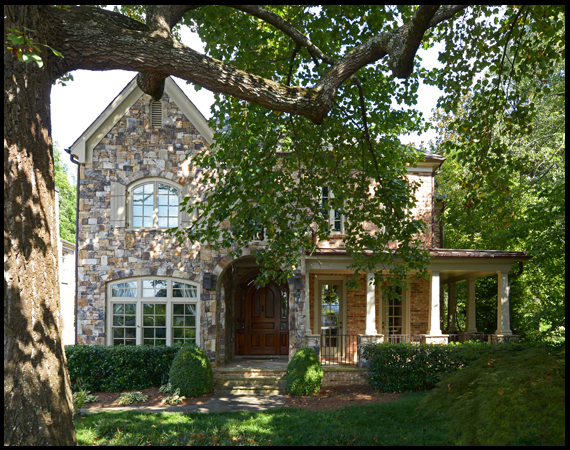 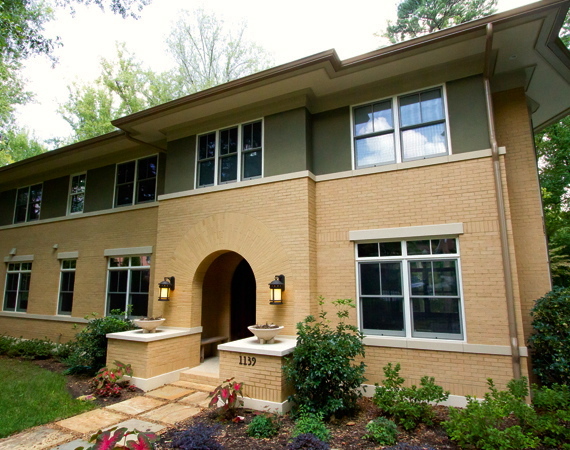 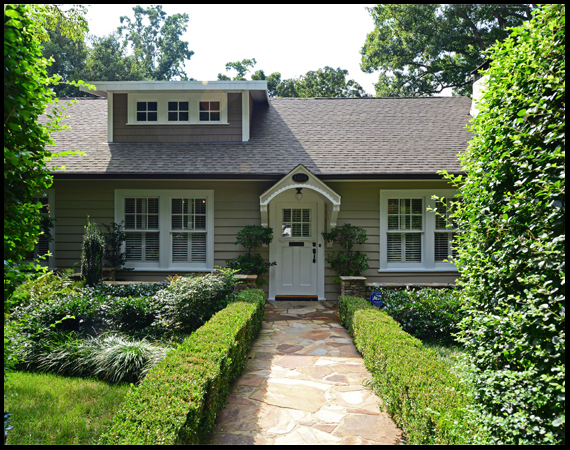 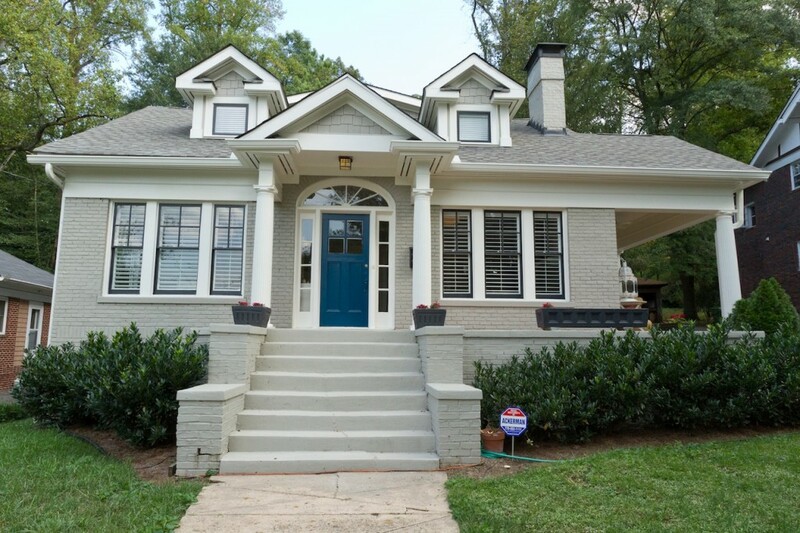 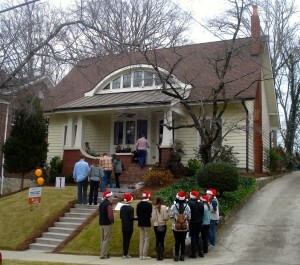 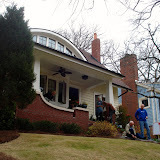 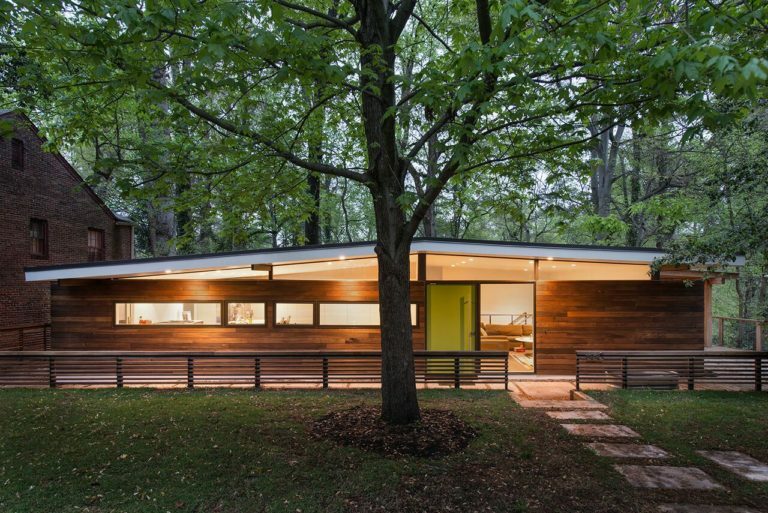 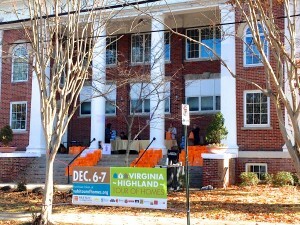 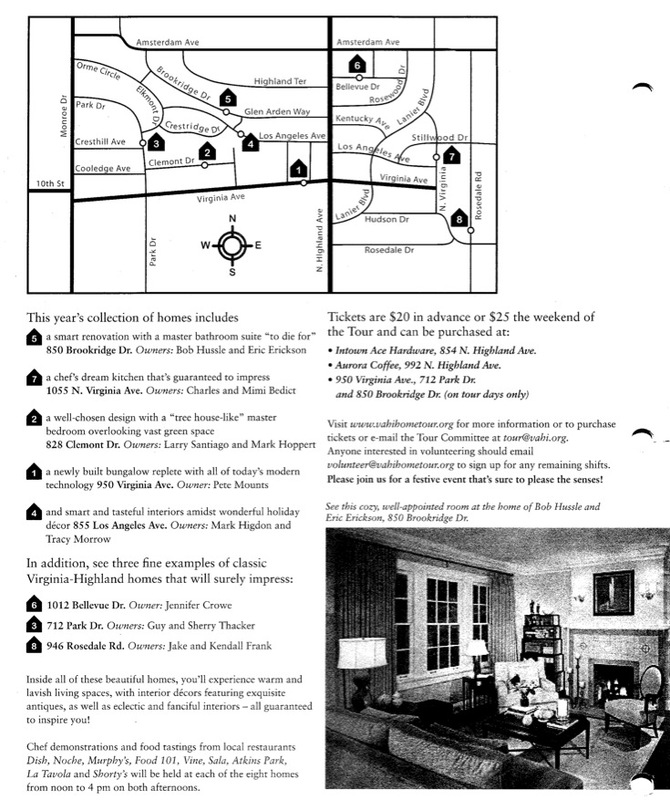 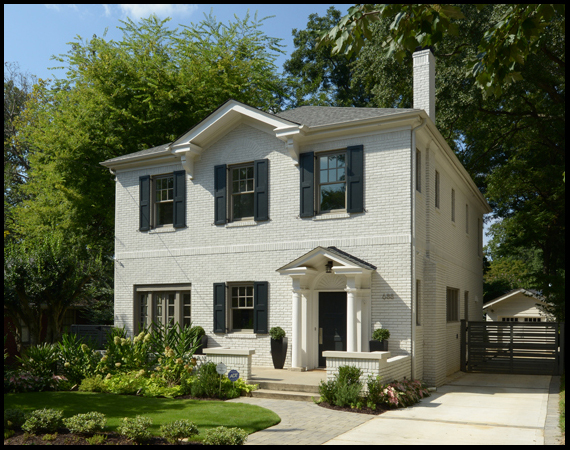 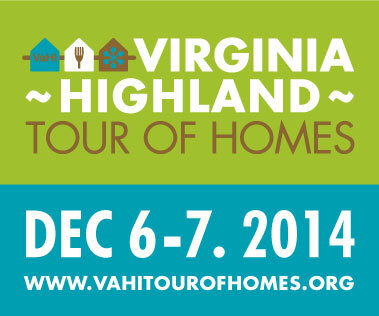 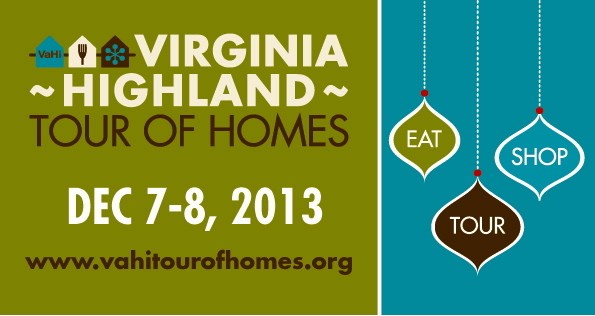 It’s almost time for the 2013 Virginia-Highland Tour of Homes which will be held Saturday and Sunday, December 7th and 8th. The Tour of Homes committee has been preparing all year for another tour that will be nothing short of spectacular. 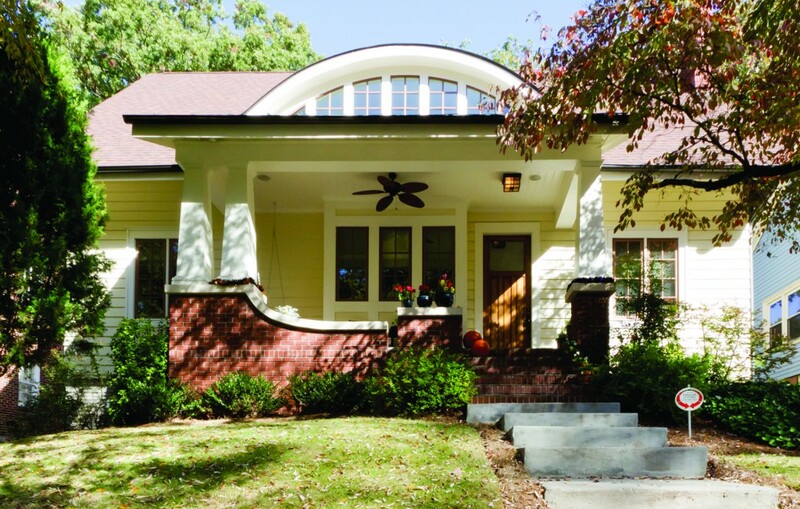 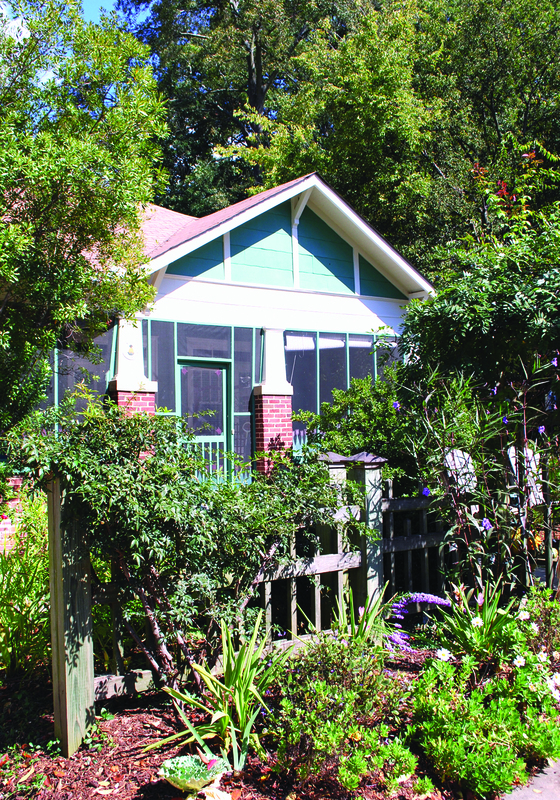 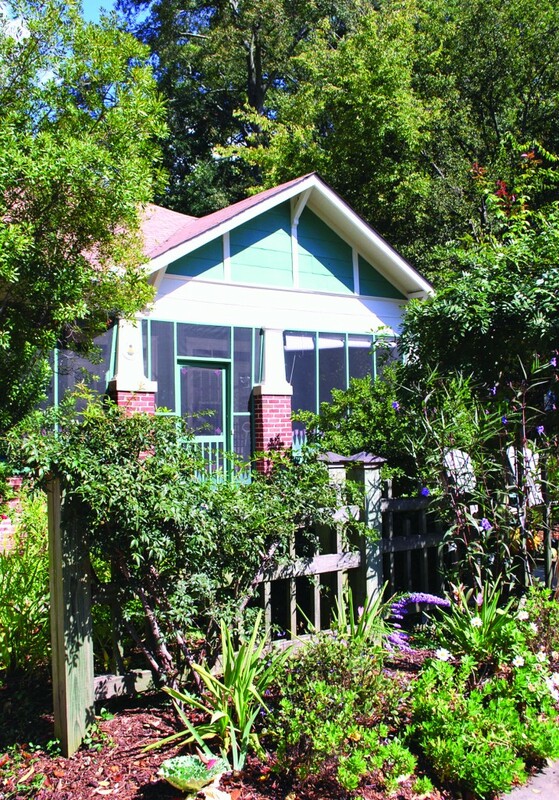 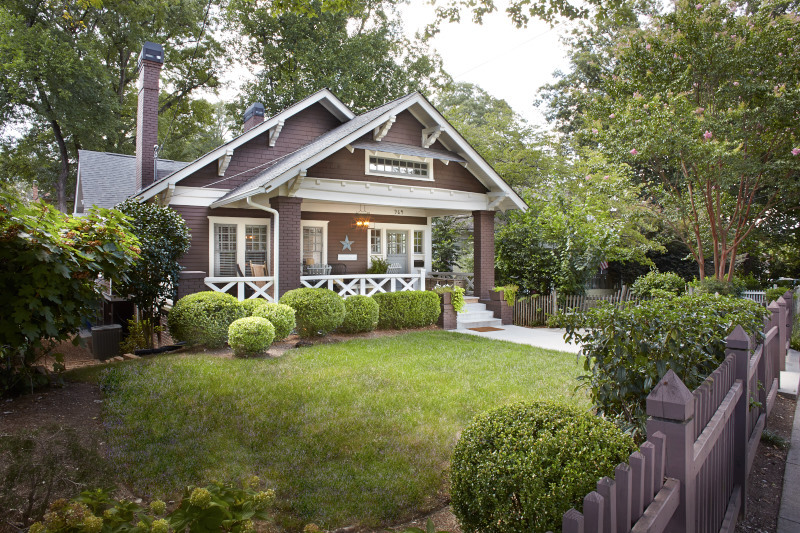 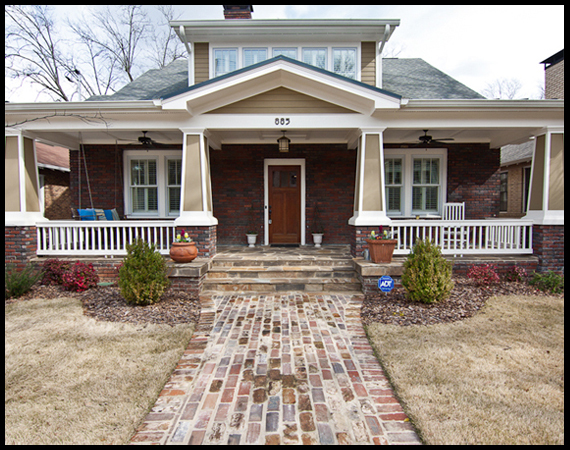 This year’s tour features eight very different homes, plus an historical landmark renovation in our neighborhood. 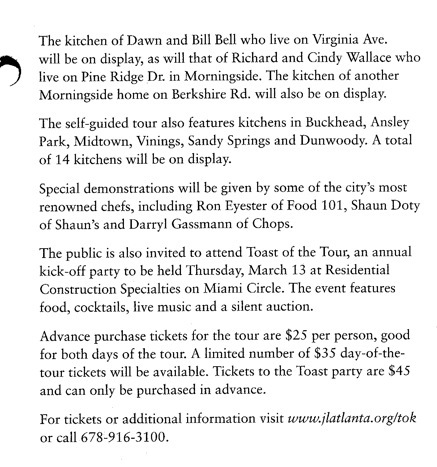 This year you’ll get to sample foods from ten local restaurants, four of which are new to the tour. 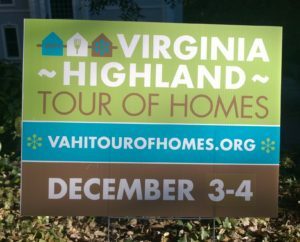 There are more surprises to come as Virginia-Highland kicks off the holiday season with a weekend to Eat, TOUR and Shop so mark your calendars now for the first full weekend in December. 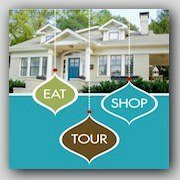 And keep an eye out for the November 1 Voice e-newsletter that will include a sneak peak at the homes and restaurants included on this year’s tour. 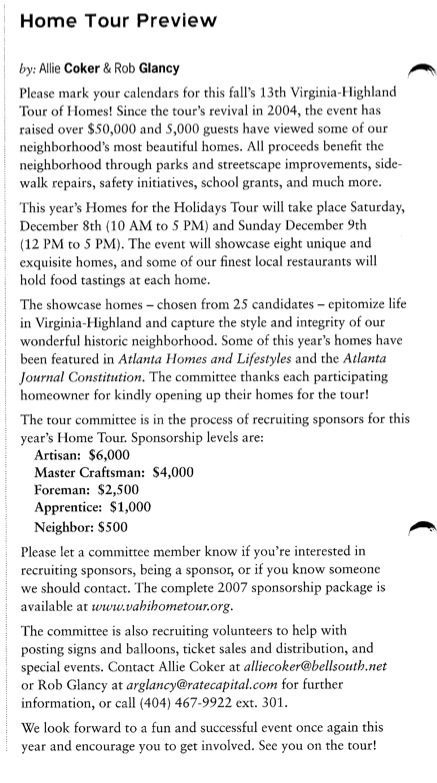 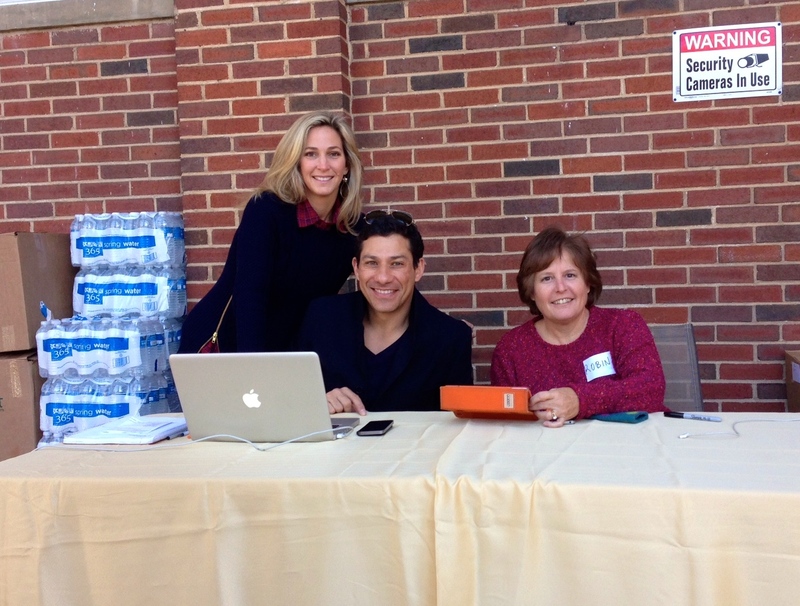 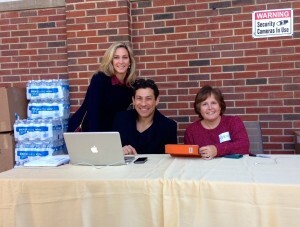 This year’s Tour of Homes Committee is off and running with over 15 individuals on the committee in various roles. 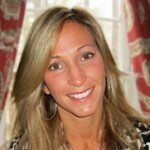 Angelika Taylor is leading the charge as chair of the committee. 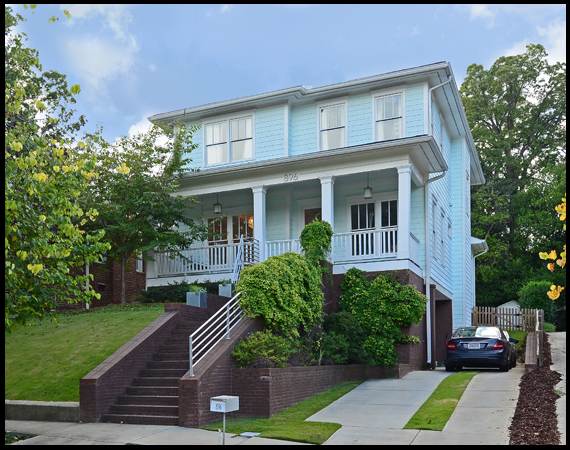 Angelika is fairly new to Virginia-Highland but has a passion for the community and especially for the home styles and personality of the area. 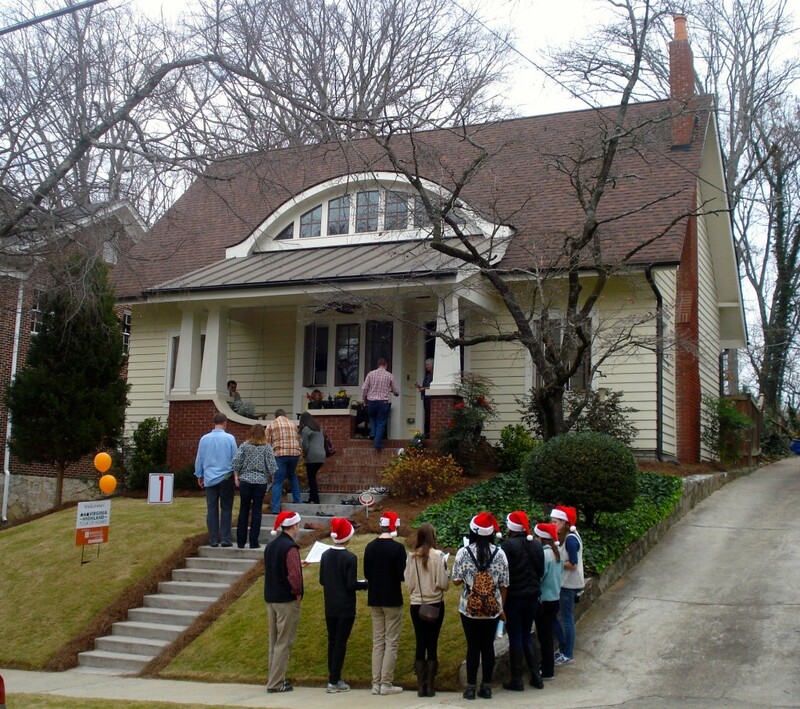 This group is beginning the process of selecting homes, pairing them with restaurants, and reaching out to companies to offer sponsorship opportunities. 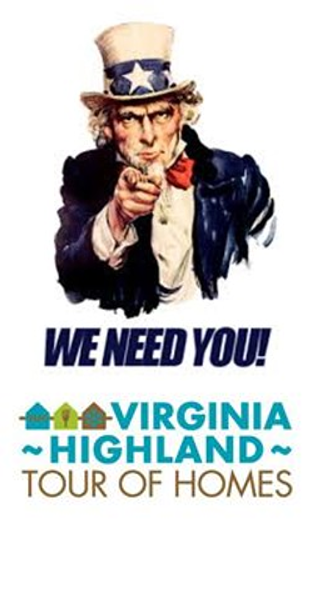 Later we’ll be asking for everyone’s help in a variery of volunteer roles. 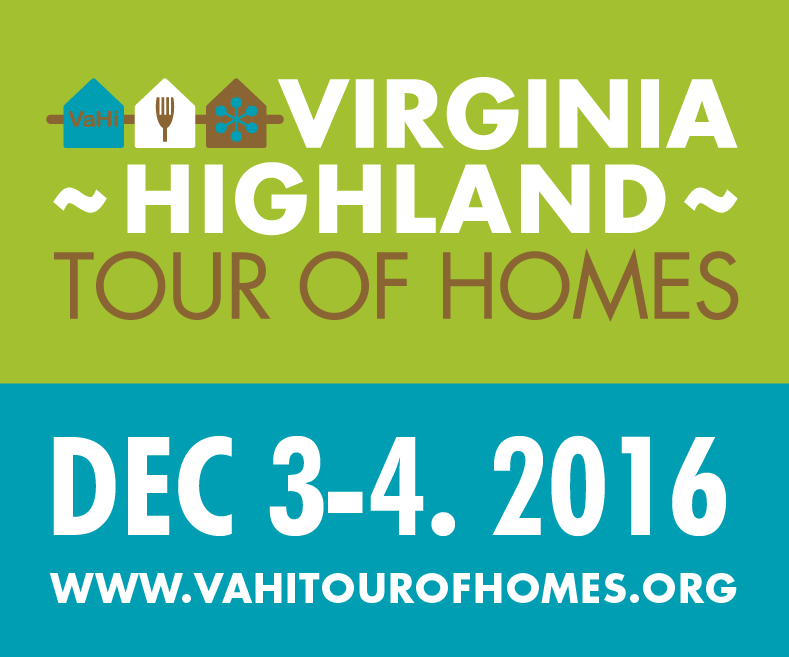 The Tour is a great event that brings the community together during the holidays and is enjoyed by both visitors and volunteers. 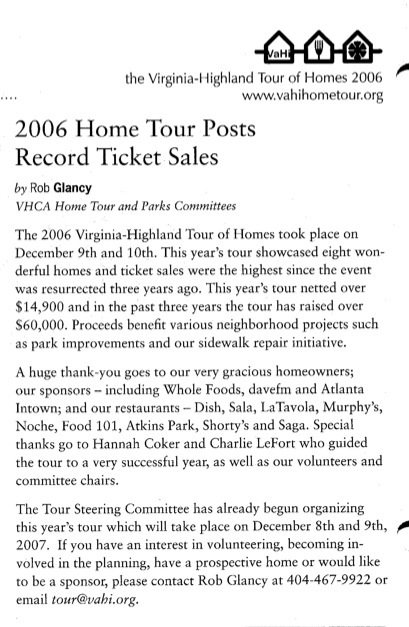 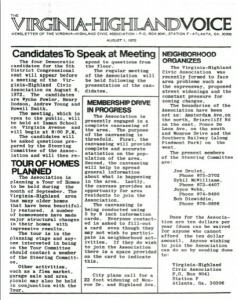 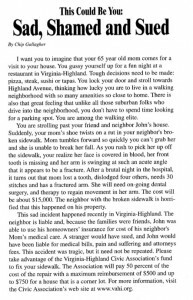 It raises funds that are used by the Virginia-Highland Civic Association throughout the year for park improvements, sidewalk projects, safety initiatives and more. 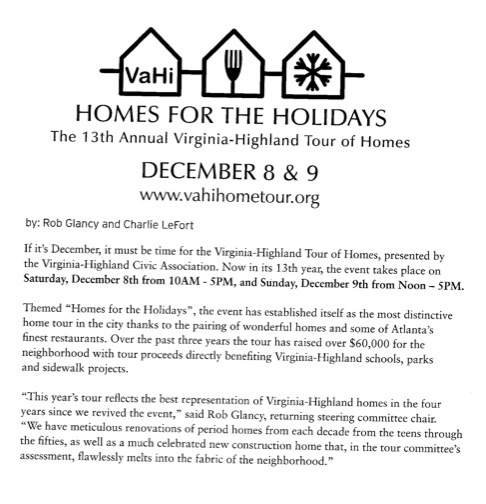 Please mark December 8th and 9th on your calendar and come to the Home Tour. 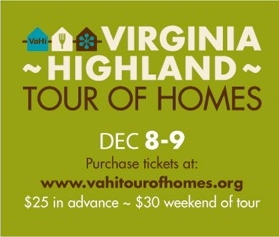 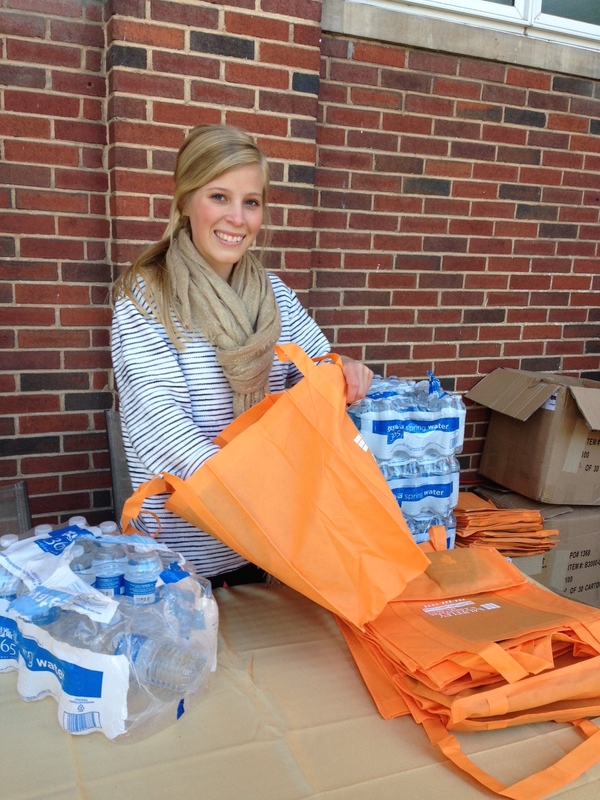 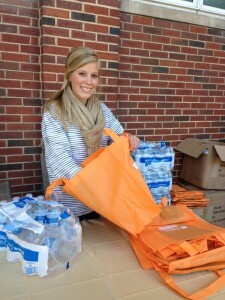 You can reach the committee with suggestions about sponsorships and to volunteer at tour@vahi.org. 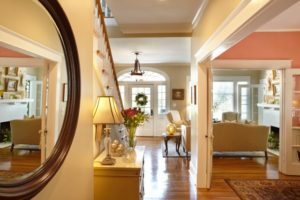 – How can I remove graffiti? 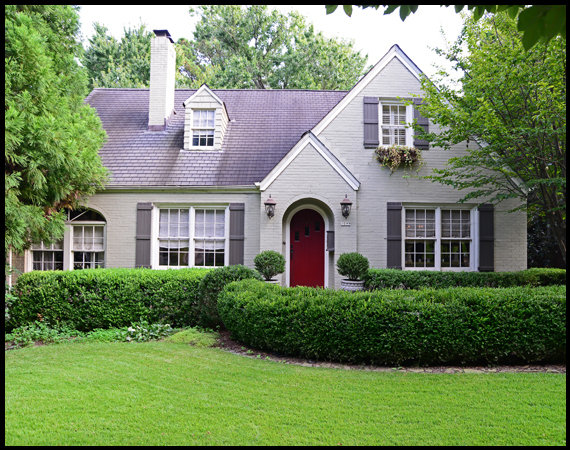 Redlining: have you been redlining? 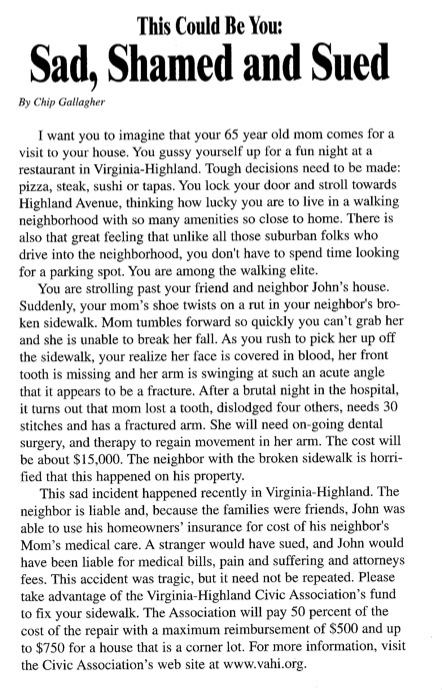 What to do.